Boss Adjustable Drafting Chair [B1616] Free Shipping! Durability and comfort are the core design principles of this drafting stool which is constructed with a contoured back and seat to relieve back strain. The stool also features adjustable arms, gas lift seat, and a strong chrome foot ring around a large and stable nylon base for maximum stability. 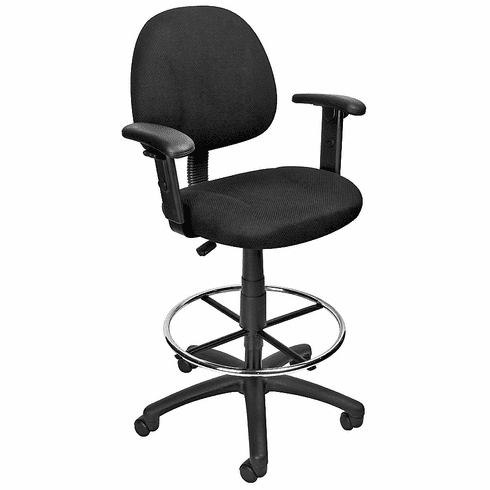 These Boss drafting chairs normally ship within 2 business days from our GA or CA warehouse.